Some people simply should never, ever trip. 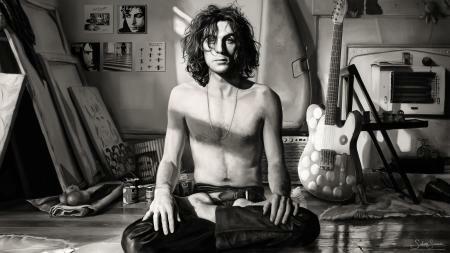 Syd Barrett, the former singer/guitarist/central songwriter for Pink Floyd, was one of those people. The van Gogh of early rock music, Barrett cut off his mind to spite his face, still swallowing acid by the handful even as his increasingly deranged behavior dislocated him from his bandmates and, for that matter, everybody else back on planet Earth. Tragically, most of his genius escaped recording, though it did beam directly into the illuminated skulls of the Britpop vanguard, frugging stoned and immaculate at London underground clubs like the UFO where Barrett worked out early Floyd’s deathless outer-space-blues-Hobbit-hole-folk-trot. By the time Floyd’s debut The Piper At The Gates of Dawn came out in August of 1967, Swingin’ London had gone mad–bathed in strobing mod Technicolor, drunk on the Day-Glo ambrosia of psychedelia and frugging to the blare of maximum R&B. Rock ‘n’ roll was reaching critical mass, outgrowing the three-chord friction of horny teen angst and expanding into the realm of art. Pop stars, the newly minted aristocracy of turned-on English youth, were now expected to be poets and seers, and the race was on to find strange new sounds to telegraph this strange new state of mind. But sadly by that point, Barrett’s wick was already burnt. By the spring of 1968 he’d been fired by his own band. There were a couple of hard-to-listen-to but unforgettable solo records, painstakingly pieced together by his former bandmates from the intermittent moments of lucidity and focus they could get out of Barrett by that point. The Madcap Laughs and Barrett still sound as haunted and frayed as the man who mused aloud in his last song for Pink Floyd, “I’m wondering who could be writing this song.” After that he retired to his mother’s basement in Cambridge, more or less, never to be heard from again. He passed away in 2006, but his legend still looms large in the alterna-verse where he is regarded as the patron saint of rock’s psychedelic martyrs. The Floyd, of course, carried on. David Gilmour was brought into replace Syd on guitar and vocals, and everyone pitched in on songwriting. By Dark Side Of The Moon, Roger Waters would become the band’s central songwriter/conceptualist and de facto leader, and Floyd would become the AOR FM colossus we’ve come to think of them as today. But in the six years between Piper and Dark Side, the band spent six albums — Saucerful Of Secrets, Ummagumma, More, Obscured By The Clouds, Meddle and Atom Heart Mother — groping in the dark for their sound and vision. And while those albums have their share of pointlessly overlong psychedelic dicking around, they also yielded some of Floyd’s greatest, albeit lesser known, songs: “Fearless,” “Set The Controls For The Heart Of The Sun,” “The Nile Song,” “Cirrus Minor,” “One Of These Days,” and “Echoes” to name but a few. All of this and more — much, much more — is comprehensively curated on the 2016 box set The Early Years 1965-1972, which spans 29 hours over the course of 10 volumes (plus a bonus disc!). 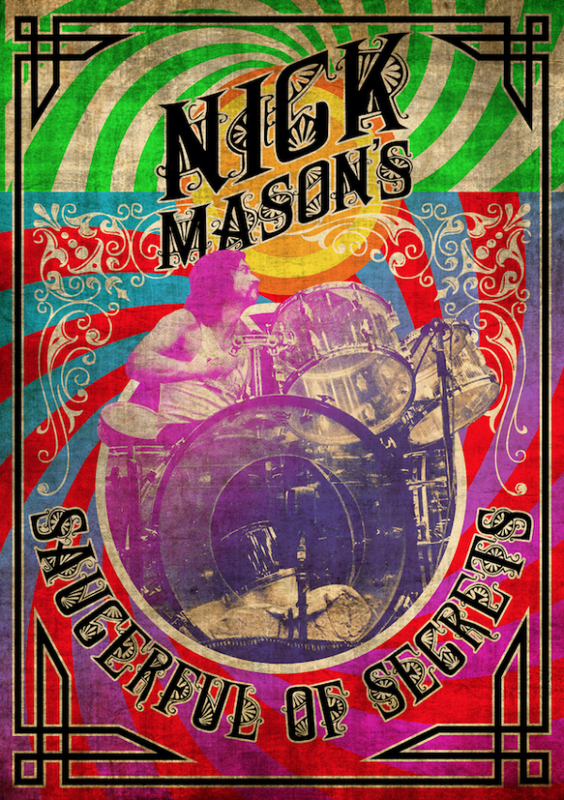 It is this period, along with a generous number of Piper At The Gates Of Dawn tracks, that Floyd drummer Nick Mason is re-animating with his newish band Nick Mason’s Saucerful Of Secrets, which performs at The Met Philly on Saturday April 20th. We have a pair of tickets to give away to some lucky Phawker reader. To qualify to win, all you have to do is sign up for our mailing list (see right, below the masthead). Trust us, this is something you want to do. In addition to breaking news alerts and Phawker updates, you also get advanced warning about groovy concert ticket giveaways and other free swag opportunities like this one! After signing up, send us an email at Phawker66@gmail.com telling us a much, with the magic words CAREFUL WITH THAT AXE, EUGENE in the subject line and the correct answer to the following Pink Floyd trivia question: Who is/was Lucifer Sam? Please include your full name and a mobile number for confirmation. Good luck and godspeed! This entry was posted on Monday, April 15th, 2019	at 1:39 am	and is filed under News	. Responses are currently closed, but you can trackback from your own site.